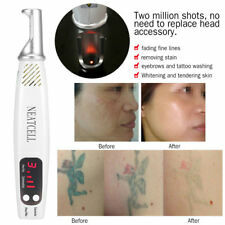 Description:This spot removal pen adopts the latest technology, which is safe, comfortable and fast to remove the freckle and moles without any side effects. It has 5-speed free adjustment scan spot power output for different treatment, which is reliable, useful and convenient. And directly charged by USB line, easy carry and easy operate. Unique electric ion technology, the use of the process will not make people feel the existence of electric current, no bleeding. So, don't miss it.Features:1. Adopt the latest technology, it is safe, comfortable and fast to remove the freckle and moles without any side effect.2. Use 5-speed free adjustment scan spot power output for different treatment, which is reliable, useful and convenient.3. Directly charge by USB line, easy carry and easy operate.4. Unique electric ion technology and the microcomputer control conversion make it remove spots without hurting the normal skin, no bleeding and little pain.5. Fluorescent detection function of the lamp make the fluorescent agents have no escape in the daily life, which is very practical.Specifications:Condition: 100% Brand NewType: Spot Removal PenMaterial: ABS + Steel NeedleColor: GoldInput Current: 5V / 1AInput Power: max. 5WPackage Weight: approx. 239gSize: approx. 13 * 4cm / 5.1 * 1.6inchFunction: Can be used to remove spots, dot mole and suitable for tattoo, granulation, sarcoma removalWorking Principle:Similar as carbon dioxide laser beauty machine, it use new generation of plasma micro district discharge technology with low temperature and high frequency, it is efficient capacity conversion material and Microcomputer chip control. When the needle touch the freckle skin, it produce plasma with high temperature immediately. When it touch the freckle or spot, it will produce a small flame that we called it carbide problem skin. The micro vascular will be solidified quickly without bleeding. Then it will formed carbon scabs to protect wound skin from infection. 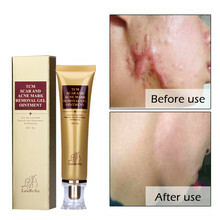 After about 1 week, scab will shedding without scar.How to Use: 1. Press the switch button (ON/OFF) for 2 seconds and it will start up. You can see the current power according to the blue digital light. Then press the switch button (ON/OFF) for 2 seconds, the machine will be power off. Note that at the boot state, the machine will be automatic power off without any operation. 2. Press the switch button (ON/OFF) for two times to turn on the fluorescent test light at the bottom and then press it for 2 times to turn off the light. 3. Dot mole function: press the switch button (ON/OFF) at the boot state and then the work key (OUT) will turn into the standby state from the first speed. It will output only when you press the work key (OUT) and will be standby when release the work key (OUT). Press the switch button (ON/OFF) continuously to switch the speed from one to five. The digital number 1 2 3 4 5 is used to indicate the speed. Package Included:1 x Freckle Removal Pen1 x Big Needles1 x USB Line10 x Small Needles1 x Manual1 x Sterilization Anti-inflammatory CreamPlease Note:Please consult the manual to know the details of the specific usage of dotting mole and removing spots. 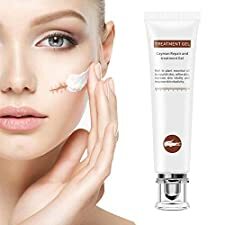 Description:This spot removal pen adopts the latest technology, which is safe, comfortable and fast to remove the freckle and moles without any side effects. It has 5-speed free adjustment scan spot power output for different treatment, which is reliable, useful and convenient. And directly charged by USB line, easy carry and easy operate. Unique electric ion technology, the use of the process will not make people feel the existence of electric current, no bleeding. So, don't miss it.Features:1. Adopt the latest technology, it is safe, comfortable and fast to remove the freckle and moles without any side effect.2. Use 5-speed free adjustment scan spot power output for different treatment, which is reliable, useful and convenient.3. Directly charge by USB line, easy carry and easy operate.4. Unique electric ion technology and the microcomputer control conversion make it remove spots without hurting the normal skin, no bleeding and little pain.5. Fluorescent detection function of the lamp make the fluorescent agents have no escape in the daily life, which is very practical.Specifications:Condition: 100% Brand NewType: Spot Removal PenMaterial: ABS + Steel NeedleColor: Gold, Rose Red (Optional)Input Current: 5V / 1AInput Power: max. 5WPackage Weight: approx. 239gSize: approx. 13 * 4cm / 5.1 * 1.6inchFunction: Can be used to remove spots, dot mole and suitable for tattoo, granulation, sarcoma removalWorking Principle:Similar as carbon dioxide laser beauty machine, it use new generation of plasma micro district discharge technology with low temperature and high frequency, it is efficient capacity conversion material and Microcomputer chip control. When the needle touch the freckle skin, it produce plasma with high temperature immediately. When it touch the freckle or spot, it will produce a small flame that we called it carbide problem skin. The micro vascular will be solidified quickly without bleeding. Then it will formed carbon scabs to protect wound skin from infection. 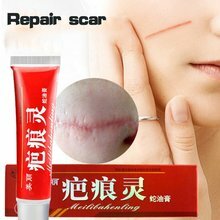 After about 1 week, scab will shedding without scar.How to Use:1. Press the switch button (ON/OFF) for 2 seconds and it will start up. You can see the current power according to the blue digital light. Then press the switch button (ON/OFF) for 2 seconds, the machine will be power off. Note that at the boot state, the machine will be automatic power off without any operation.2. Press the switch button (ON/OFF) for two times to turn on the fluorescent test light at the bottom and then press it for 2 times to turn off the light.3. Dot mole function: press the switch button (ON/OFF) at the boot state and then the work key (OUT) will turn into the standby state from the first speed. It will output only when you press the work key (OUT) and will be standby when release the work key (OUT). Press the switch button (ON/OFF) continuously to switch the speed from one to five. The digital number 1 2 3 4 5 is used to indicate the speed. Package Included:1 x Freckle Removal Pen1 x Big Needles1 x USB Line10 x Small Needles1 x Manual1 x Sterilization Anti-inflammatory CreamPlease Note:Please consult the manual to know the details of the specific usage of dotting mole and removing spots.